The USAA has denied veterans’ requests to pull its advertising from the NFL following the League’s handling of the National Anthem kneeling controversy. Dozens of angry vets took to Twitter to call for the USAA to dump its advertising with the NFL, saying the League is disrespecting the American Flag and the National Anthem. @USAA I will no longer insure with a company who sponsors a league @NFL who does not stand for the national anthem and denigrates our flag. Please look me up. Everything I do is through @USAA. Please stop sponsoring the @NFL as they stand against America/Vets. @USAA Are you still supporting NFL when your client base is veterans and service members Maybe time to take me business elsewhere. @USAA I’ve been a customer since 1980 and I think it’s time to leave. 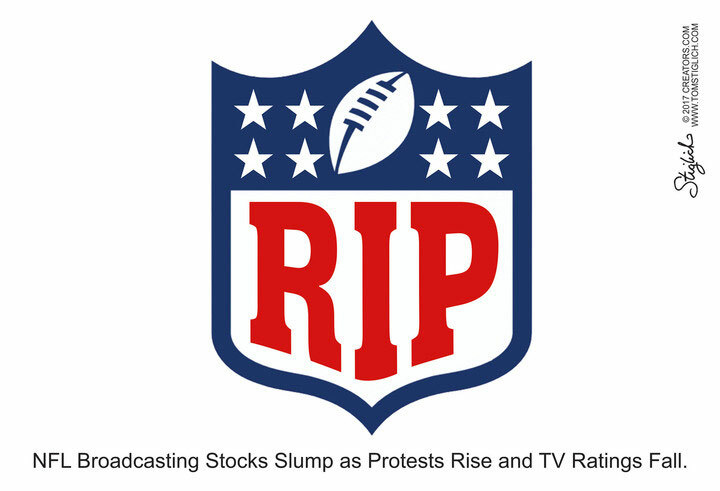 You can save millions of dollars not advertising with the NFL. In response to the many angry vets on Twitter, the financial services company – which caters to military members and their families – announced they had no intention to stop advertising with the NFL. The company attempted to reassure customers, saying it contacted the NFL to “emphasize the significance of the national anthem & position it plays” in our country. This isn’t the first time the USAA has been in hot water with veterans. The real reason the USAA and several other companies like Peloton and Cars.com pulled their ads from Hannity was because the Fox News host was focusing on the murder of DNC staffer Seth Rich and his reported ties to Wikileaks. “To all my friends. Today, George Soros, & Hillary Clinton supported Mediamatters is targeting all of my advertisers to try and get me fired,” Hannity tweeted Wednesday. I am dumping USAA insurance within the month. It appears that the elites running USAA are nothing but traitors to the USA as well. A military insurance company run by communist party. Just great! Well said Frank. And you ain’t the only one Brother!